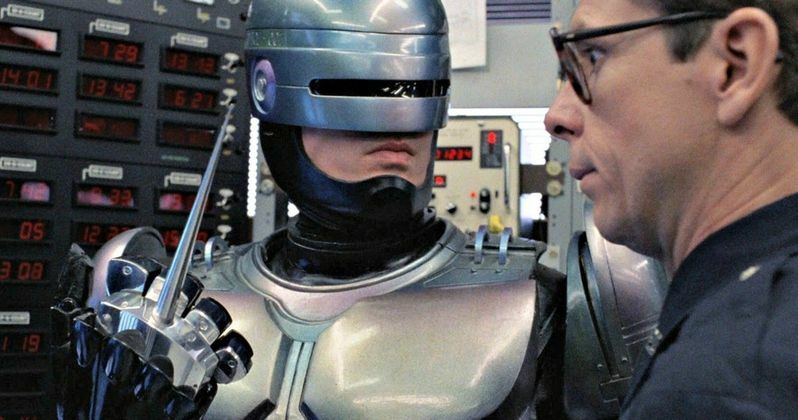 Producer Ed Neumeier has offered an update on the status of Robocop Returns, the upcoming sequel to Paul Verhoeven's original 80s sci-fi/action classic. We first learned of this project in July 2018. Neill Blomkamp (District 9, Chappie) has been tapped to helm the movie, which is being sourced from a script that franchise creators Neumeier and Michael Miner wrote back in the 80s that was intended to be a sequel to the first RoboCop. Now, Blomkamp is dusting off the script and adding his touches to it, which has Neumeier feeling hopeful. Official updates on the project have been few and far between since it was announced, but things are coming together behind the scenes. Edward Neumeier was recently asked about the movie in an interview and, while he couldn't dish out much in the way of specific details, he reveals that Neill Blomkamp and screenwriter Justin Rhodes have already done a revision of that original script and are currently taking another pass at it. Here's what Neumeier had to say. "I am a producer at the moment. We talked about it a couple of years back and I reminded [MGM] that we had written a very rough sequel back in 1988 which then was stopped by the writer's strike, the same year. And they looked at it and they said 'oh, good! ', so we did some more work on that and then Neill Blomkamp found out about it and he said 'I have always wanted to do this, this is my dream project' and MGM was very very pleased to get into business with him. Neill Blomkamp and his screenwriter Justin Rhodes have done a pass on the script we were writing on and they're doing another one. It is a slightly different concept in some ways than we were originally doing. I don't want to talk too much about it or somebody will call me and tell me to shut up, but we're hopeful and I think Neill really really wants to make a good RoboCop movie. His idea is that it should be the proper Verhoeven... if Verhoeven had directed a movie right after RoboCop... I think that's what he is trying to achieve and I hope he does. We'll see what happens next." RoboCop did get a couple of sequels, but as Ed Neumeier points out, they weren't directed by Paul Verhoeven and something was lost along the way. While Neill Blomkamp hasn't quite matched his directorial debut District 9 in the years since, he does seem like a man who could capture what a proper sequel in this franchise would need. What we know for sure is that the movie will be R-rated, bloody and, if Blomkamp has his way, Peter Weller will be back in the title role. "As you know from the press that Neill Blomkamp wants to bring back Peter Weller and what you get when you do that, if you use the DNA of the old property in the new, is that you get something that shares continuity and fans can embrace the brand." Whether or not Peter Well would want to return remains up in the air. Perhaps he could come on board and pass the torch in some way? That's purely speculative. In any event, it sounds as though things are moving right along with this one. We'll be sure to keep you posted as any further details on the project are made available. This news was first reported by HN Entertainment.